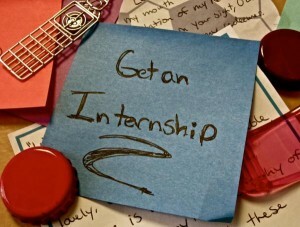 An internship is a must for all public relations students. They provide great opportunities to gain experience and do some networking, and an internship will hopefully help you land a job in a tough job market. The real-world experience gained through an internship gives you an edge over the competition for jobs. The best public relations internships let you work on real client campaigns and acquire real coverage for clients. Many public relations firms begin accepting summer internship applications in January, and by May they’ve selected their interns. A typical public relations agency internship lasts eight weeks. Let’s take a look at some tips that are sure to help you land that dream internship. Public Relations Student Society of America provides internship listings and allows you to post your resume. You can search for internship listings by date, location, organization, or keyword. Posting your resume allows prospective employers nationwide to consider you for internships. You must be a PRSSA member to apply for the internships. Career services office staff members at your school are sure to be extremely knowledgeable about internship openings. They can also help you create an effective cover letter and resume. Many colleges have databases of alumni who can help you find an internship. Volunteering at an alumni event provides valuable networking opportunities. Virtual internships in public relations are sometimes offered to students living outside of a public relations agency’s region. A virtual intern may perform tasks such as monitoring media coverage, building and maintaining media lists, and tracking media/speaking engagement placements as well as researching, developing, and distributing media materials. Some virtual interns are even given opportunities to pitch to specific media outlets. Interns communicate through Skype, telephone, email, and texting. Contact a company that you’d like to work for, even if it doesn’t have an internship program. Visit the company or call them and ask if they’d be interested in hiring an intern. Visit the company’s website and find the name and email address of the appropriate person. Send an email explaining why you want an internship and how you can benefit the company or organization. Make sure to demonstrate your strong interest in the company. Propose a specific area of interest or project you want to pursue. Typically, internships created for a specific individual are unpaid, however they often provide greater dividends because you’re able to shape the parameters of the internship. Making a pitch for an internship via the telephone gives you an edge on the competition. Be very clear about how you can help the company, and show some enthusiasm. Be sure to follow up with another telephone call; the follow up call shows a strong interest in the internship and a passion for the nature of the work. A great resume is a marketing brochure. It highlights your relevant accomplishments and should include your job experience, previous internship experience, education, major, and your special skill sets. Include a favorable performance review from an internship if you have one. Get letters of recommendation from your public relations instructors. And above all, show some passion for public relations! In your cover letter, write a compelling opening summary emphasizing how you would contribute to the team. Place the details most relevant to the internship near the top of the resume. Focus on any college projects that relate to the knowledge and skills required for the internship. If you have minimal work experience, emphasize the education section of your resume. Highlight volunteer work even if it’s not related to public relations because it shows transferable skills valued by any company. Focus on how you demonstrated dependability, dedication, excellent service, creativity, and enthusiasm. Tailor your cover letter specifically to the internship. Many employers won’t continue to read an internship cover letter if it comes across as a template. Mention the skills you’ll bring to the internship. Express your interest and enthusiasm for the company. Respond to the information in the internship position description. Learn what the company wants from the intern and show them you can meet their expectations. Public relations internships help employers identify and recruit talented, motivated employees. After you obtain the internship, treating it like a job increases your chances of receiving a job offer after the internship ends. Brian Jenkins writes about a variety of job-related topics, including careers in public relations, for The Riley Guide. Brian has a bachelor’s degree in economics from the University of California, Santa Barbara. I think this is a great post; my internships gave me a lot of great experience and the opportunity to network with numerous professionals in my field. I was fortunate to find my main internship through my university, but definitely advise students to talk to people – even if you don’t think they would be looking, they may know someone who is. Networking is a great resource and is often overlooked or over-thought. Additionally, take advantage of opportunities through your internships – it may be extra work, but you’ll be happy later. My name is Danielle Harville and I am a senior at Southeast Missouri State University majoring in Public Relations. I am currently seeking an internship for the summer and your article provided a lot of helpful tips in finding a summer internship. I do not have any work experience in the PR field besides for the two part-time jobs I’ve had previously and the two part-time jobs I have currently. What advice would you give to someone looking for their first internship? Also, I noticed in the article where you said that if you had minimal work experience, then you should highlight your education and volunteer. I am currently involved with our school’s chapter of PRSSA but what other activities would you suggest getting involved in to enhance my resume? Thank you for any advice you can give. Danielle: You are doing the right things to enhance your resume–PRSSA and relevant volunteer activities. When you contact agencies/companies regarding internships, go above-and-beyond the normal submission of your resume. Observe what nonprofits they support and perhaps write something specific to that organization that underscores the fact you studied the agency and might be someone they can tap to help with the agency’s probono efforts. Finally, consider small- to mid-size agencies. Hundreds of resumes are received by major agencies while fewer people apply at smaller firms. My name is Amanda Edelen and I am a junior at Southeast Missouri State University majoring in Public Relations. I am currently searching for an internship for this coming summer so your article was very interesting to read. It provided many great tips that I would not have thought about before. I found the topic of creating your own internship most appealing. I was wondering what type of approach you think is best when contacting a specific company. Is it better to first email them or make a personal appearance? If you do not have a specific project in mind do you suggest not contacting them at all? Also, do you think creating your own internship will give you enough experience in the field as opposed to finding one that already exists? Any advice you can give is greatly appreciated. Amanda: Email is the best way to get your resume to hiring managers at agencies and corporations. Most agencies today list internship openings on their websites, and they prefer that applicants complete online applications–not send emails and they definitely don’t want direct contact or walk ins. Some organizations now offer virtual internships for individuals living outside their geographical areas, or for students who also work full time but need internship experience. DePaul University now promotes virtual internships, which are becoming increasingly popular, although I prefer in-office internships since they offer greater interaction and learning experiences. My name is Stephanie Smith and I am currently a senior at Southeast Missouri State University majoring in Public Relations. I am currently doing my second internship and I wish that I had these tips last summer when I was searching. My first internship was almost like the “create your own” tip that you presented, however I found that this internship was not as beneficial as the internship I am currently doing, which regularly posts for interns each year. Is it better to do internships with businesses and organizations that are used to having interns? Also, how can you make the “create your own” internship just as beneficial as the ones that are posted on firm and organization websites. Thank you! Stephanie: I would always recommend finding a structured internship that provides training along with real-life work experiences. Those generally are more likely to occur within organizations that have long-standing, structured internships. However, it is possible to design your own internship experiences if the company/agency is willing to allow you that latitude. I’ve talked with interns who have brought ideas to their employers about how to make their internships more meaningful, and they were added to the program. So, I recommend talking with friends who have had good intern experiences, identify what made the interships so successful and then propose those ideas to your employer. My name is Michelle Martin and I am a Senior at Southeast Missouri State University. I found a lot of the tips in this article very beneficial. When you mentioned pitching yourself on the phone it reminded me of my phone interview I had before I got my current internship. I was completely nervous and I felt like it was nothing like a normal interview where you can make eye contact and read each others body language. Are there any tips you could give me about how to make the best of phone interview? Michelle: Most people hate phone interviews, including the interviewer. But they are increasingly important as a way to efficiently screen the large number of applicants chasing existing jobs. Key to success: Don’t have any caffeine within two hours of the interview. Take five deep, cleansing breaths before starting the interview and sit up straight so you get the most air to your diaphram. Prepare a couple of follow-up questions so you get the interviewer talking; this relaxes you and allows time to literally catch your breath. My name is Rachel Reischman, I am a junior at Southeast Missouri State University seeking a degree in Public Relations. I read through your article and I found it to be extremely helpful, especially since I am still a little confused as to what I want to do in the PR field exactly. I am currently doing a small internship with a local radio station as a reporter to strengthen my writing skills. I was wondering if it’s better to do a couple small internships to figure out what path you want to take or do two(ish) big internships? All interships have value and help shape your future career. I like your goal of improving writing skills via your radio internship. One you develop your writing skills and confidence, you should seek bigger internships. The bigger the brand name the better, even if the smaller interships are easier and more fun.